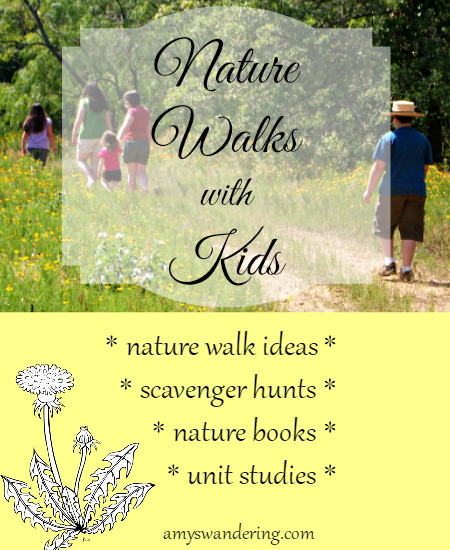 A nature walk is the easiest way to get my kiddos interested in God’s creation. All ages enjoy it, and I don’t have to try and focus five minds on one particular topic. Sometimes we just walk and observe, and other times we have a specific mission. The latter usually involves some type of printable scavenger hunt. Make sure to take along a bag to collect interesting finds! Your own backyard is a great place to start hunting for nature. 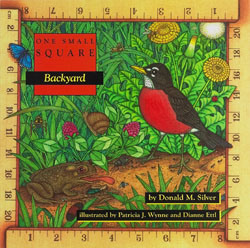 I like to use the One Small Square: Backyard book as a tool for observing the critters hanging out there. It helps you investigate your yard one section at a time. NaturExplorer studies by Shining Dawn Books are a great, and inexpensive, way to dig a little deeper into your nature study. These info-packed nature unit studies include experiments, project ideas, writing prompts, and notebooking pages. 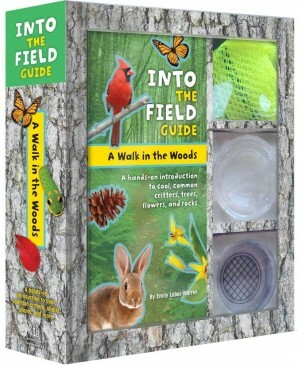 You can find more nature printables on my Nature Notebook Master List.